Who doesn’t love celebrating Christmas at any opportunity? 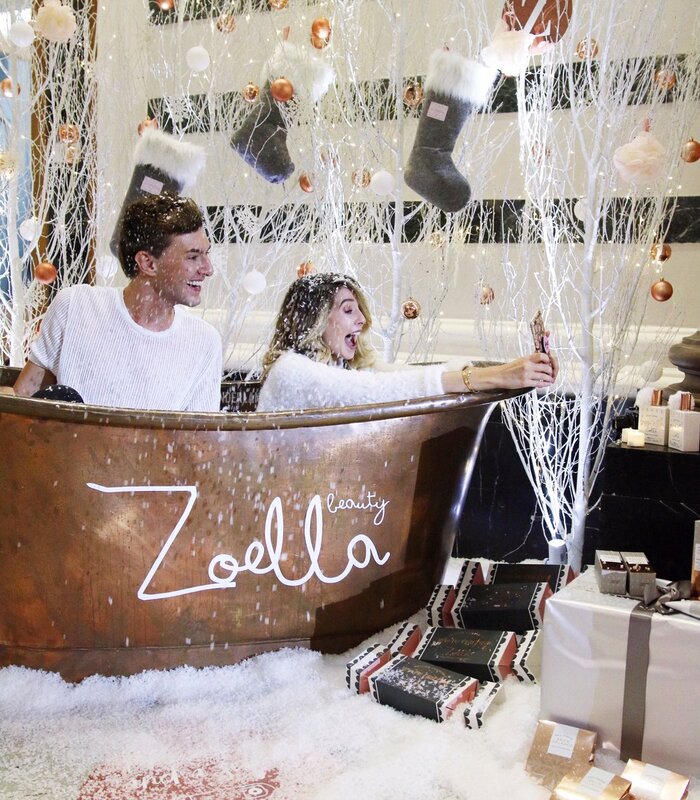 On Tuesday 5th September, b. invited a selection of key press and influencers to celebrate the launch of Zoella’s latest beauty and lifestyle Christmas collections in a truly immersive Winter Wonderland preview experience. Guests were instantly transported into a festive haven with a snow-filled bathtub, life sized snow globe and giant 12-Days Advent calendar for those perfect selfie opportunities. Christmas music created an atmosphere of festive fun for all who attended, with a DIY Hot Chocolate Bar serving the most luxuriously lavish hot-chocolates for a finale treat! The inspiration for this year’s festive range is all things cold, fresh and snowy. The beauty scent is bright and fresh yet cosy and comforting too, for luxurious pamper and bath time treats. The lifestyle range sees festive greens, glowing rose gold and beautiful botanical patterns for the most lust-worthy stationary, home and gift items. Zoella Beauty is available at Superdrug and feelunique and Zoella Lifestyle is available exclusively at Boots.